If you have a little more time to spare, and are looking for something completely different, we offer a range of diving safaris/packages on which you will be able to spend more time and see far more than is possible on one day trips. Each of these trips can be customized to meet your particular needs. These trips normally require a minimum of 2 persons and the prices are based on twin share accommodation. See the other side of Nusa Penida where few people venture. Challenging & Exciting Diving. Day 2. Boat to Nusa Penida, 2 dives. Overnight in Villa Wayan, Lembongan Island. Day 3. Boat around far side of this island, 2 dives and home to Kesumasari Hotel, Sanur. See all that this wonderful nature reserve has to offer. Dive in each of the famous sites in East Bali. Dive these three marine-life rich sites as we tell you all about the life that abounds there. Day 3. 2 Dives in USS Liberty Wreck. Overnight in Bali Lovina Beach Hotel in Lovina. 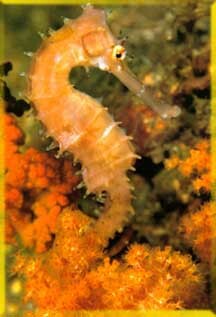 See all the major dive sites on mainland Bali. Day 4. 2 dives on USS Liberty Wreck. Overnight in Bali Lovina Beach Hotel, Lovina. This is the ultimate in diving excursions and on it you are likely to see a variety of environments and marine life difficult to match anywhere else in the world. The accommodation and transport is arranged to give you the maximum amount of time diving or relaxing, and cuts out any surplus travel. Day 4. Car to Padang bay, 2 dives. Overnight in Bali Samudra Hotel, Candidasa. If you like to make a customized safari, just tell us and we will offer one for you. Included in the price are: All transportation sea & land, dive guide, two tank fills per dive day with weight belt, snorkeling equipment, lunch box & cold drink, and insurance. Extra charge: B.C.D. Regulator & exposure suit (US$ 15/day) Extra tank for a third dive (US$ 15), Night Dive (US$ 40).